“Let’s all focus on what we did do versus what we didn’t do or think we should have done,” was the theme of most of my yoga classes this week. As I said these words out loud to my students, I realized that I might have been the one person in the room who really needed them the most. It has been a challenging week. Colby has been waking up every single night, sometimes multiple times. It’s felt a lot more like newborn days, only he’s not a newborn and my life, work situation, mental state aren’t in newborn (errr, survival) mode anymore. No matter how many times I have been getting up at night, I realize I still have to get up early and function like a normal human being each and every day. I still have to put in a full day of work, teach classes, and be a mom, a wife, and a functioning adult person. At one point, after what I think might have been my third cup of coffee, I found myself just sitting and staring at the computer. I wasn’t even typing or pretending to work. I was literally staring at my unfinished projects, my unending to-do list and felt like they were staring right back at me. I started to get down on myself for being so behind: I felt disappointed in myself for the unfinished projects, late (and er, imperfect) emails, and even guilty for the time I was sitting there wasting. As I sat there dwelling, I realized that feeling sorry for myself, or focusing on how behind I was wasn’t going to solve anything. I realized I needed to shift my mind and refocus my energy. And without another thought, I pulled out my phone, signed up for a Gixo Endurance class, got dressed, and let someone else (the Gixo coach) tell me what to do for a change – for a full 40 minutes, I got to just zone out and move and feed off of all the positive energy coming from the rest of the community running and walking with me. And when I returned from my run, I felt invigorated, even joyful. I got back to my computer and started sorting through my to-do list, putting realistic goals together for what I would get done and what would have to wait. And in that moment, I was reminded just how important it is for us to take care of ourselves – whether we’re new moms, seasoned parents, or just plain busy humans. It’s actually a lesson I wish I had learned long before becoming a mom. I used to get paralyzed by stress, sometimes feeling so rooted to the problem, or the stressor that I wouldn’t actually get anything done at all. No work, no workout, no miscellaneous tasks – just complete and total paralysis. Now that my time has become so much more calculated, it has taught me just how important it is to find ways to refocus, to bring myself more joy on the daily, and release myself from unrealistic expectations. Want to hear more about how I’ve been trying to put myself first? 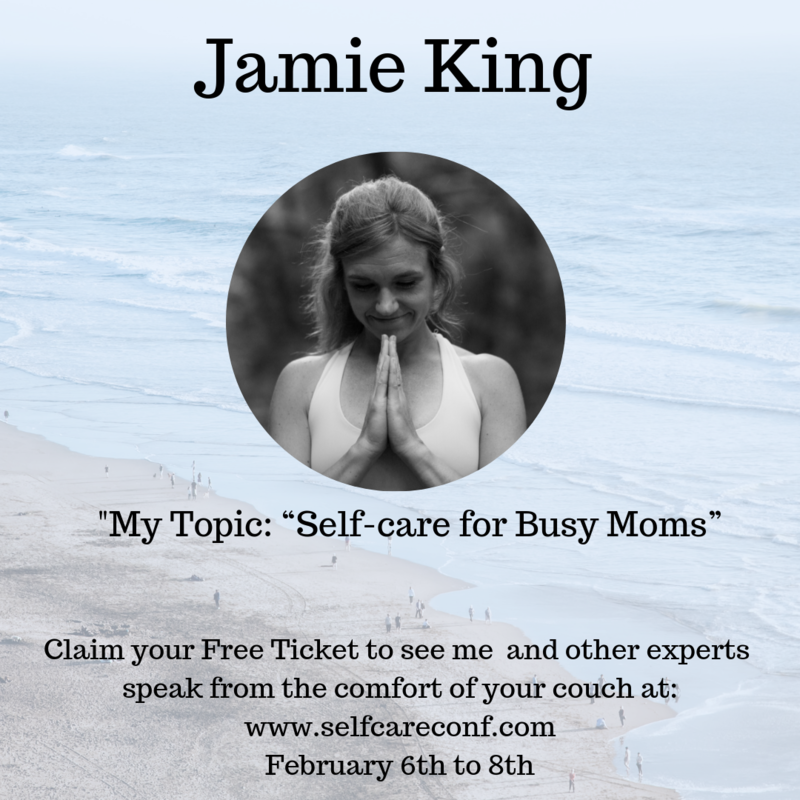 And get other great self care tips from leading experts, coaches, and amazing humans? 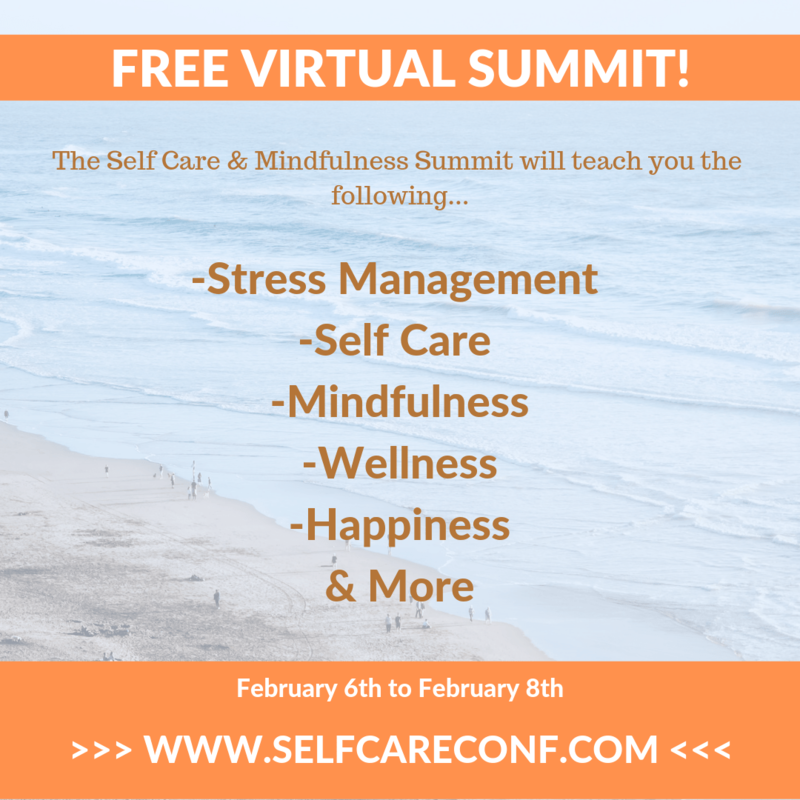 Join me for a FREE Self Care Summit from February 6-8, 2019 – sign up here. And if you’re still not on Gixo, I have to ask: why the hell not? Do you want access to live and on-demand group workouts that are easy to fit into even the busiest of schedules? Do you want motivation to run (or walk!) a little faster, and get great tips on form, pace, and even just good, old motivation from some awesome coaches? Then get on Gixo. 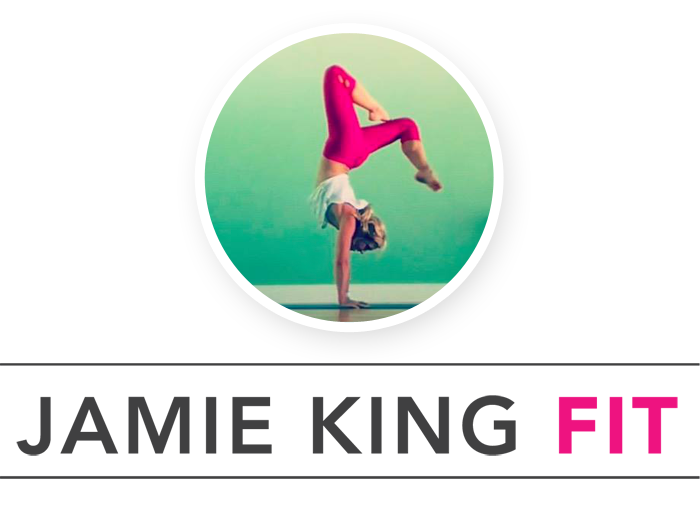 Use the code Fitforward for a FREE first class. Disclaimer: This post was sponsored by Gixo through my partnership with Sweat Pink. 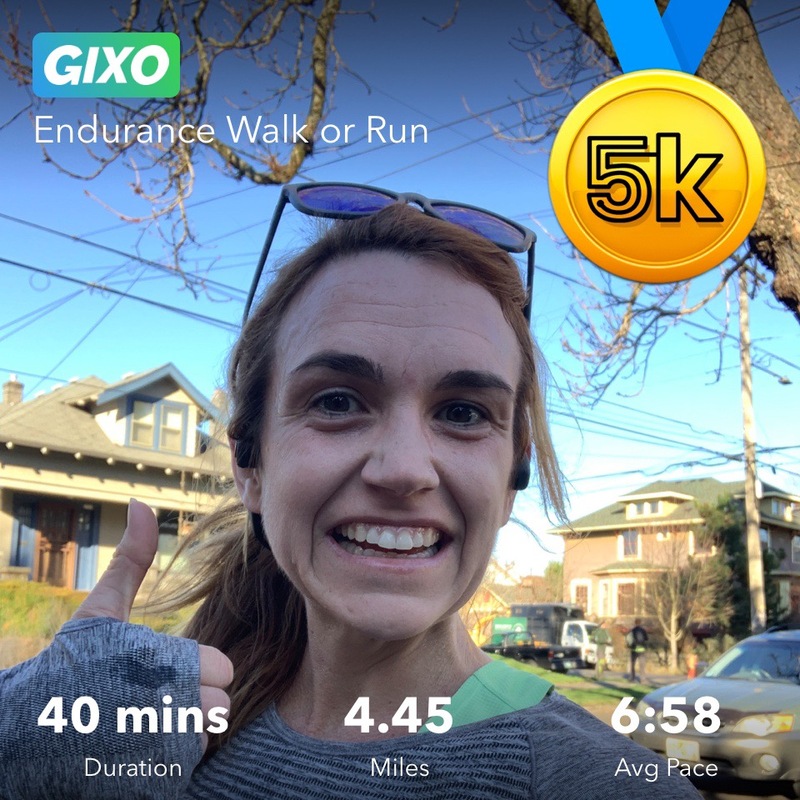 That said, I truly use and love the Gixo app and all of the words, opinions, and even fast miles are my very own.